Each and every household should be free of pests like cockroaches, spiders, rats, beetles, bedbugs and so on. However many people are averse to the black and brown cockroaches as these insects are truly repulsive to see and even more necessary to terminate. So measures for proper cockroach control Brisbane should definitely be in order. Keeping the premises clean and healthy is definitely desirable for your peace of mind and good hygiene. These absolutely disgusting creepy crawly creatures reside in crevices, holes, residential premises and more. In fact, it is very hard to terminate them all so a professional help is definitely required like the cockroach treatment Brisbane. A professional pest control technician would have the innovative and effective pest control equipment which an ordinary individual may not have access to. While picking out a cockroach control or more specifically a pest control agency, an individual needs to do some thorough market research for finding out the best that there is. 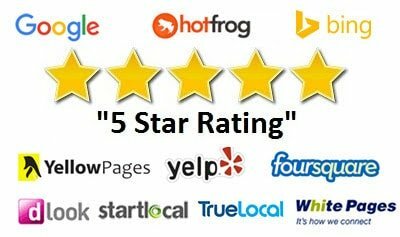 Reading the online testimonials and client reviews of the previous work done by a particular pest control agency can help you to decide the same. 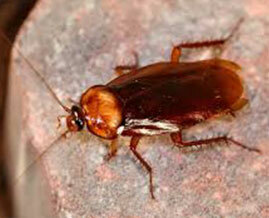 Some popular cockroach control Brisbane methods include sprays, powder dust, traps and so on. However once these pests reproduce and increase their own kind, it is very difficult to terminate them completely. So hiring a resourceful pest control company is a must to keep the premises free from cockroach invasion. The cockroaches may carry dirty diseases such as cholera, diphtheria, tuberculosis, pneumonia, hepatitis and leprosy which may aggravate our health to a large extent. Proper sanitation is highly necessary as cockroaches can enter through dirty drain or sewer pipes. In fact when an individual goes shopping, they need to be very careful that these creepy crawlers do not invade the grocery or shopping bags! A proper pest control company sees the cockroach infested areas first and makes a proper plan of pest control management. These expert technicians are pros at cleaning out the cockroach infested parts by their flawless methods. One successful cockroach treatment Brisbane method includes blocking the crevices around the house entrances and the holes around the sewers and drainage pipes. If repellants are used, the clients need to avoid that room and not inhale the repellants. A resourceful and able pest control company which has a good client track record, years of experience and modern pest control gadgets is always necessary to do the job well. So finding a proper cockroach control Brisbane company can be quite a tough job and a time consuming one at that. However, it is always better to take time and find the most skilful company for ridding your house of the pests for a job well done .There are many pest control agencies which would be able to do the job well for you with the right kind of market research and proper care.